When LendingTree set out to discover who has the best credit scores in America, it found that the older you are the more likely you are to look better to the credit reporting agencies. When it broke down its survey of consumers by generations, it found the silent generation – people born before 1946 – have the best credit scores with an average of 734. Next in line is GenX, with an average score of of 653, which is slipping into the “fair” category. Millennials have the lowest average credit score, 634 – also in the “fair” range. Kali McFadden, senior research analyst at LendingTree, says generational cultural differences may influence the credit score cap. Older consumers may be less dependent on credit and may exercise more discipline when it comes to saving and spending. Older consumers also tend to be more financially settled. They've already purchased a home and might even have it paid for by now. They have little or no student loan debt. They aren't shopping for furniture as much and aren't paying for child care. If older consumers aren't spending as much as their younger peers, they're less likely to run up large credit card balances that can put a strain on monthly cash flow. It's no secret that younger consumers tend to have more debt since they have more recently embraced adulthood and the financial pressures it brings. If millennials are saving less money than their parents' generation, they don't have the financial resources to tap when an unexpected expense arises. There's also the matter of time. The longer a credit account has been open, the more points it can potentially add to your credit score. 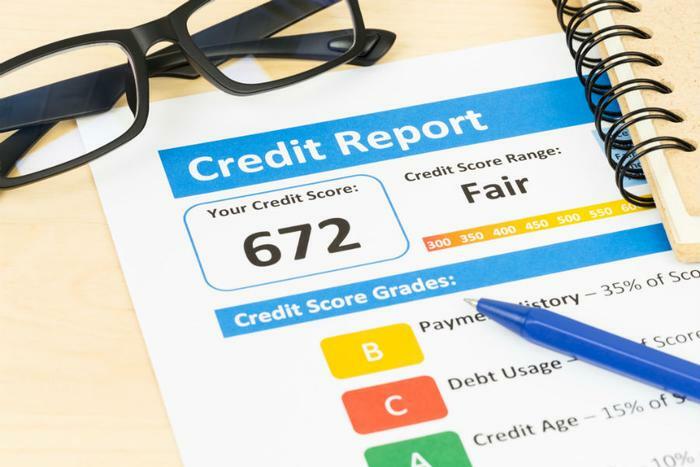 "Even someone who has handled their finances impeccably will have lower credit scores until they've demonstrated that across a mix of debt products over an extended period of time," McFadden said. Regardless of age, anyone can improve their credit score. It starts with paying bills on time each month and never skipping payments. Another major contributor to credit scores is credit utilization. If you have a credit card with a $5,000 credit limit and your balance is $4,200 you'll be penalized, since you have used nearly all of your allotted credit. By applying for another credit card with a $5,000 credit limit but not using any of it, you lower your credit utilization and raise your credit score.